Call today for professional cleaning and more! It often takes weeks or even months for homeowners with air quality concerns to reach out to us for a professional inspection of their HVAC unit. By the time they decide to give us a call, the occupants of the home have already developed allergies, respiratory issues, and higher vulnerability to colds and flus. A healthy indoor air should be everyone's top priority. That's why we encourage our customers to schedule regular maintenance and cleaning of their HVAC components in order to live more healthy lives. A powerful vacuum system along with our industry-recognized products and equipment will be hooked onto your HVAC unit when we pay you a visit and you can rest assured no debris or contaminants will be left in your furnace and air ducts once we're done with the job. As a result, the returning air in your home will grant complete safety to both you and your loved ones. After our team reseals the access holes and inspects that the cleaning has been perform adequately, we will also walk you through everything we've done to make sure you're happy with our service. 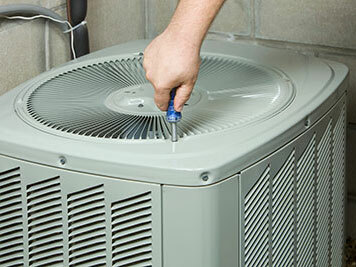 Often, a dirty filter is a good indicator that your HVAC system is in desperate need of some attention. Even the best system out there gets clogged up and dirty with time, accumulating all sorts of dust, dirt, pollen, and pet dander in the vents. You can count on us not only to inspect and clean your system thoroughly but to also replace your existing filters with high-grade models that will last you a lot longer and hold back all the dangerous pollutants from entering living spaces. Besides our superior cleaning services, we also offer full inspection, maintenance, and repair services of your HVAC across Richmond. Our mission is to ensure full comfort for every member of our community and it is a goal we intend to stick with. If you have heating or cooling problems and suspect the problem may lie within your furnace, our technicians will take it over with competence.